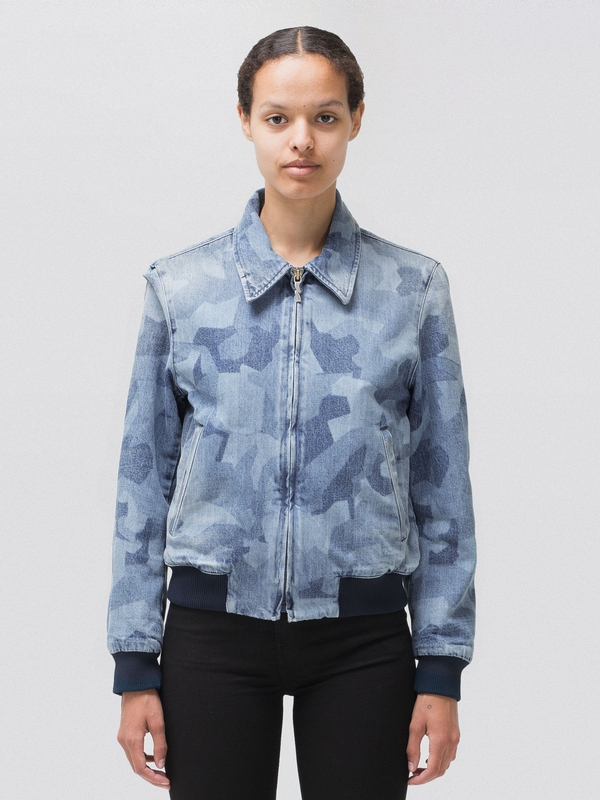 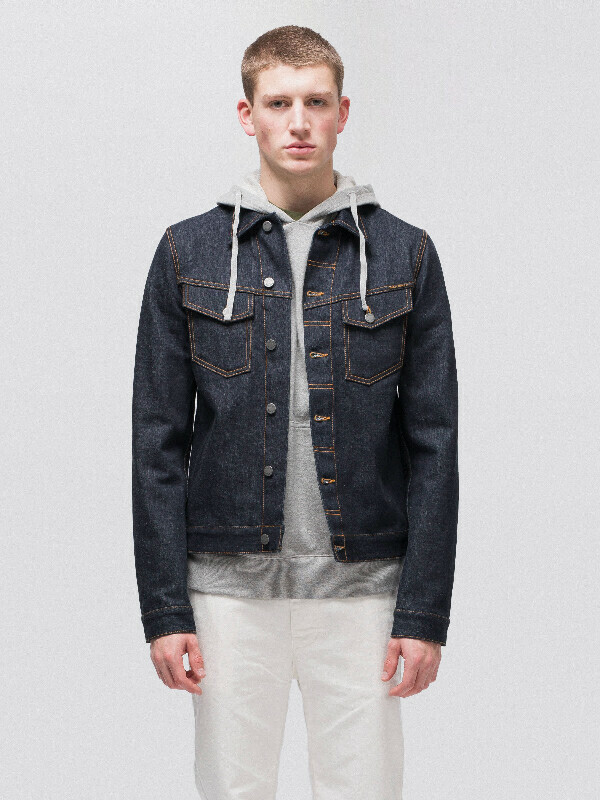 As the name implies, something is broken, it is however not the jacket. 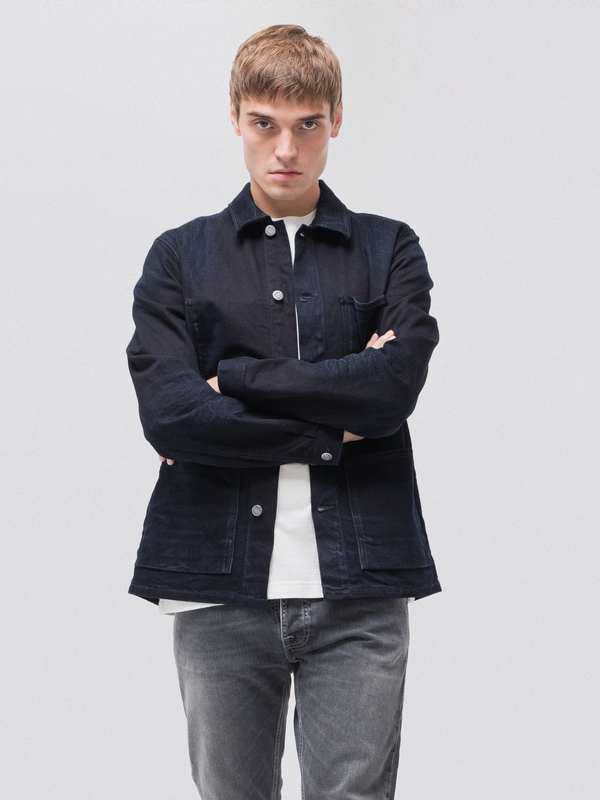 What is broken is the twill weaving pattern, twill being the basic weaving pattern that gives denim its characteristic diagonal structure. 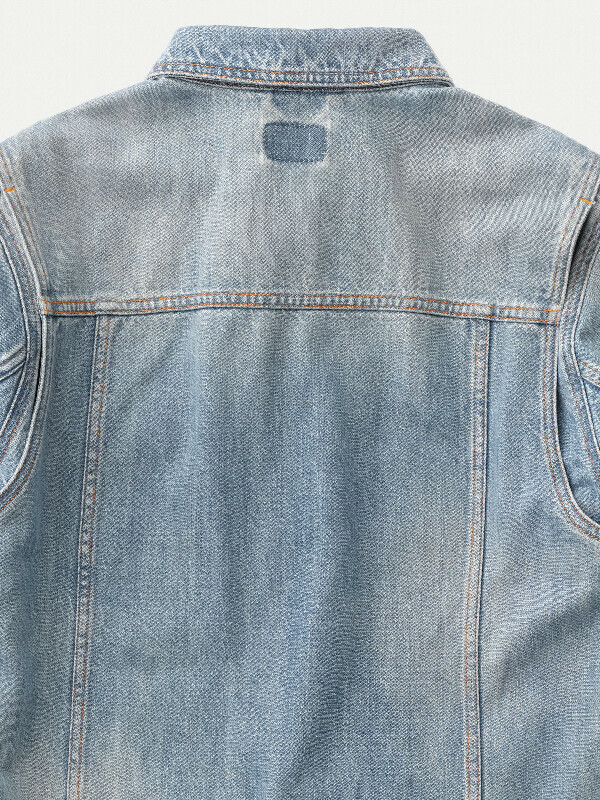 In the case of broken twill denim there is no visible diagonal structure, look closely and you will instead see a zig-zagging twill structure. 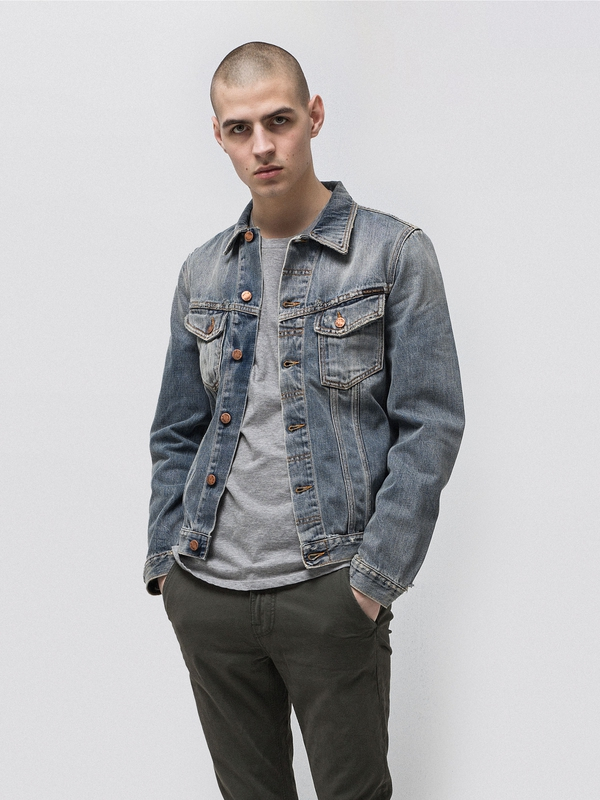 Broken twill denim is softer and gets a beautiful grainy character. 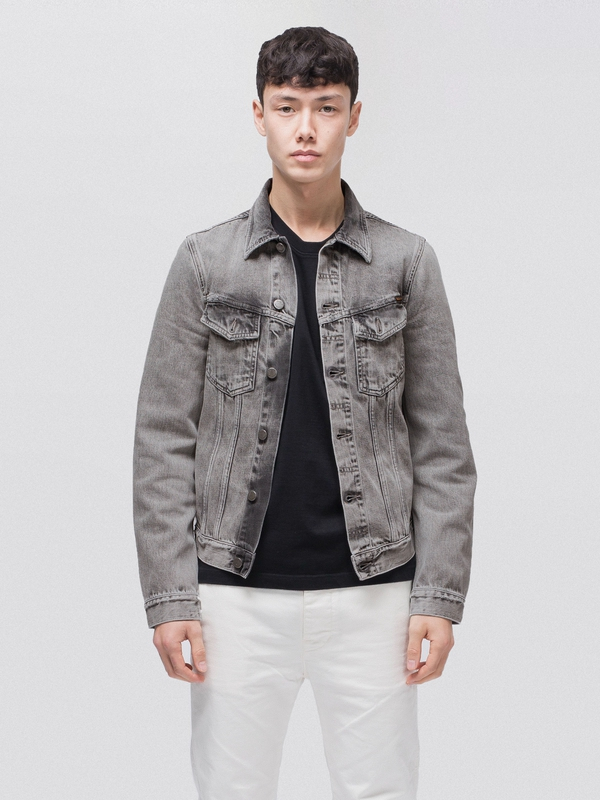 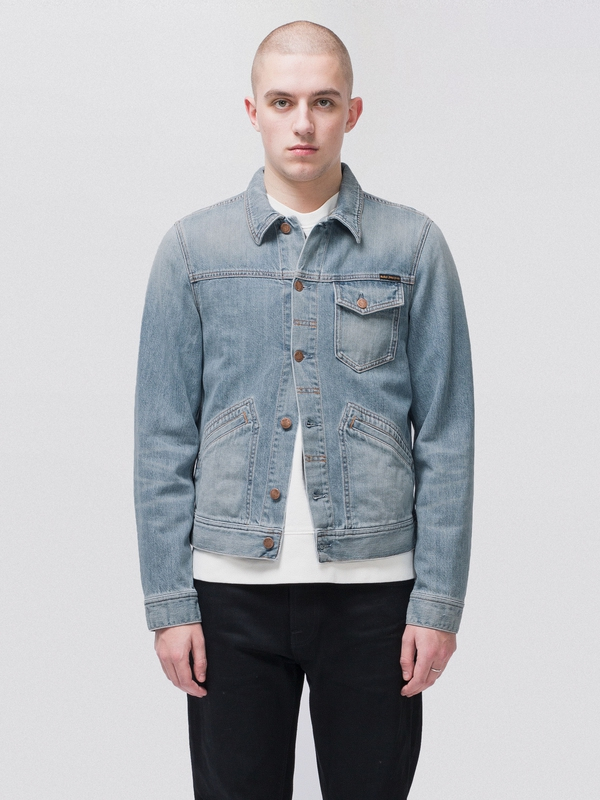 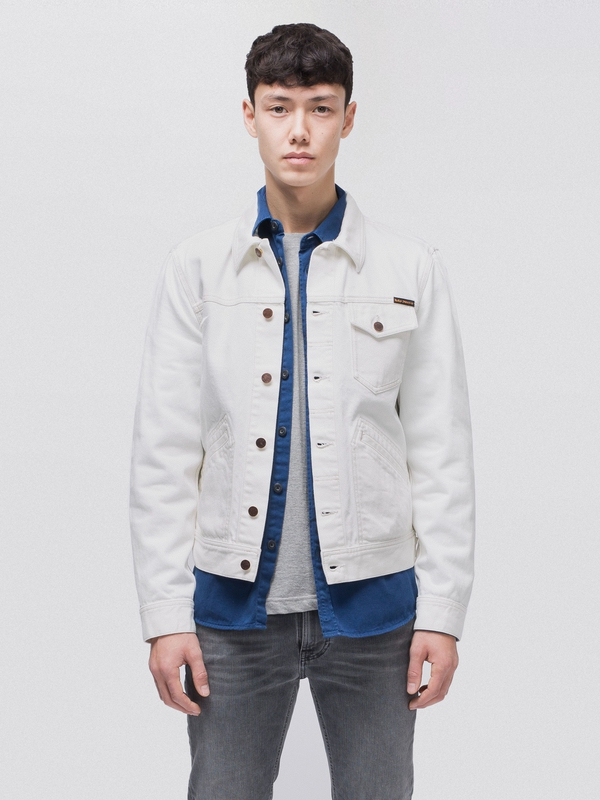 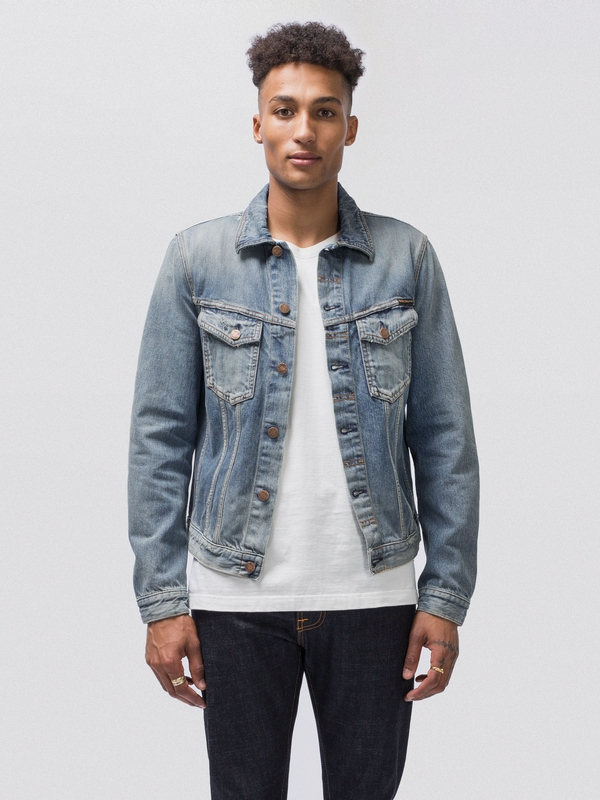 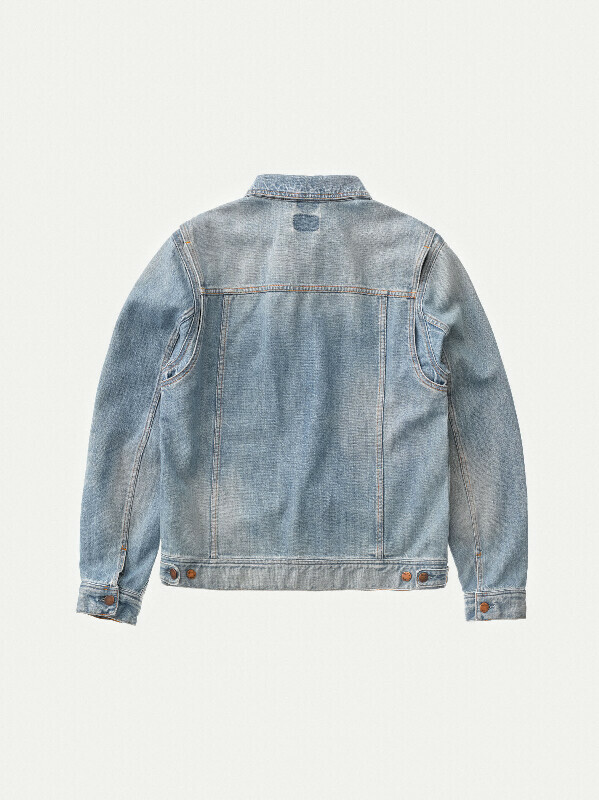 This jacket is exactly that, incredibly soft and grainy. 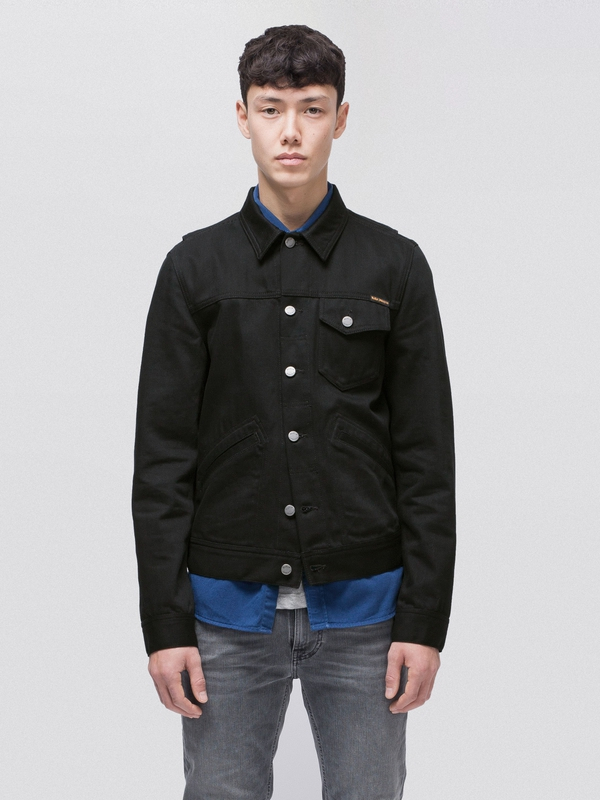 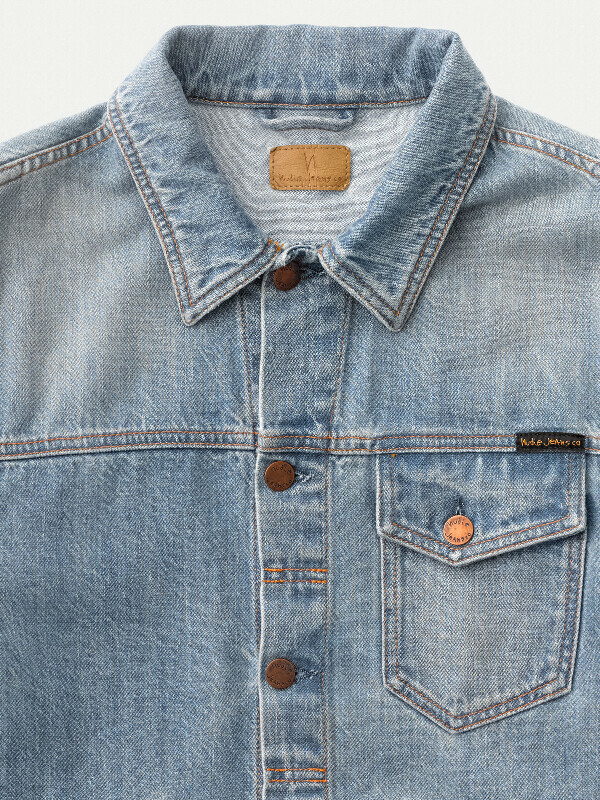 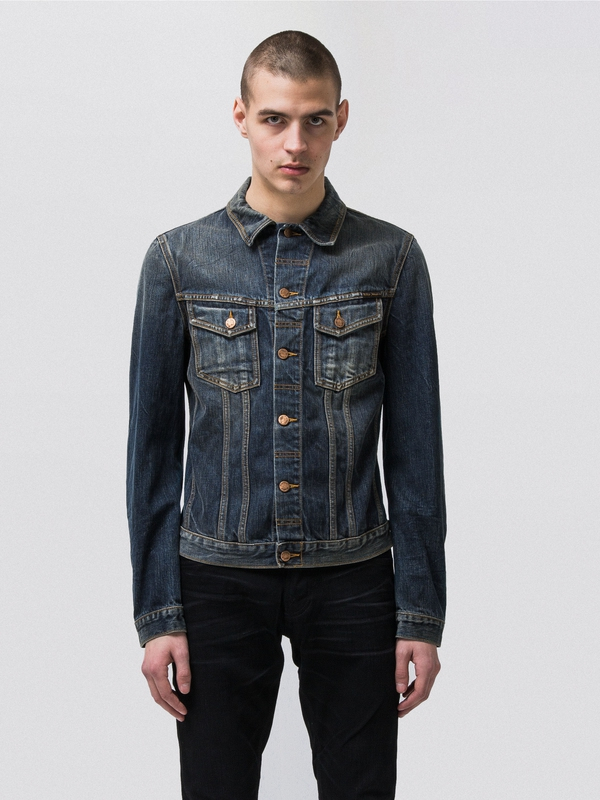 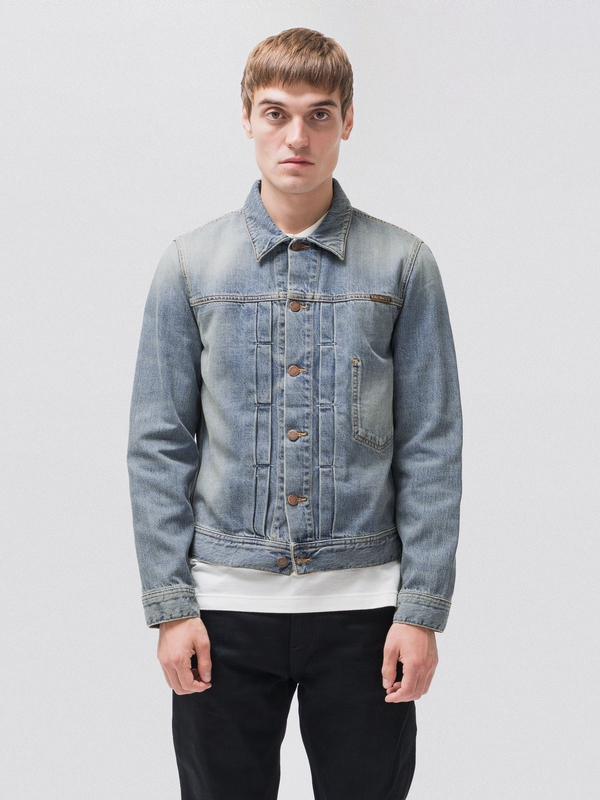 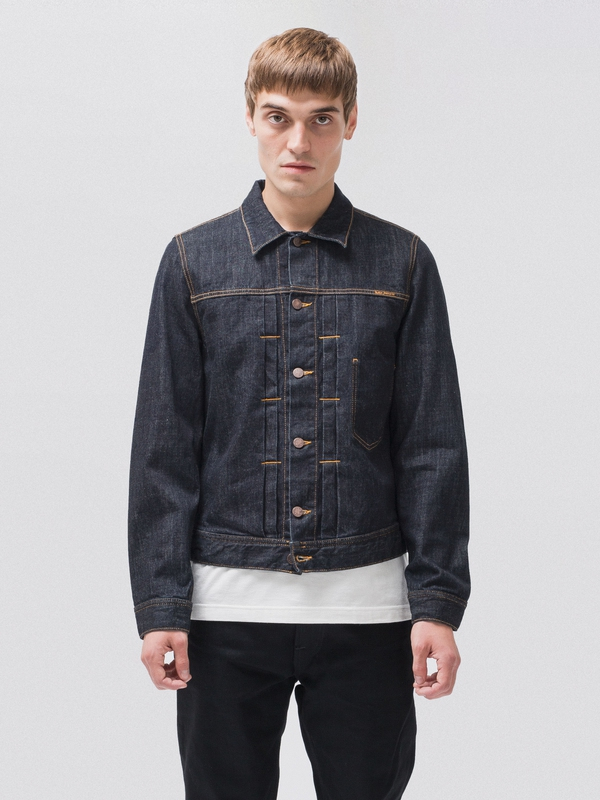 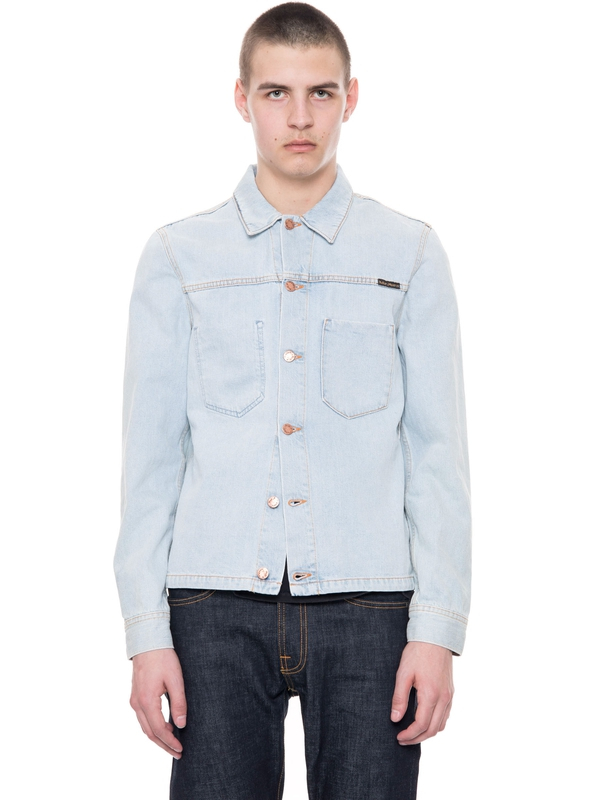 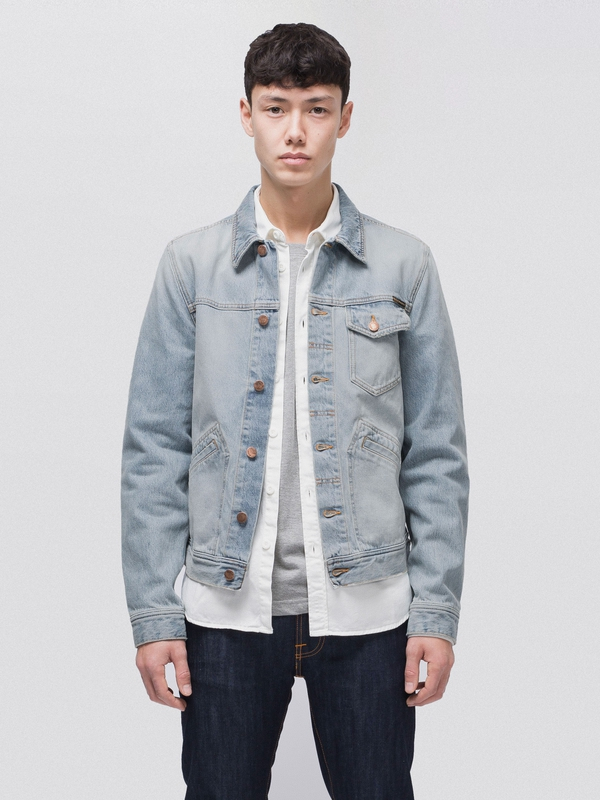 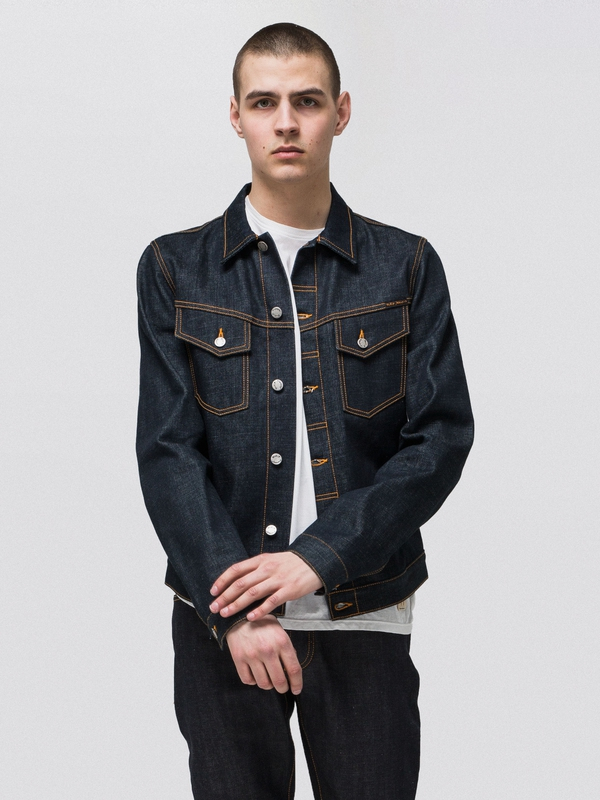 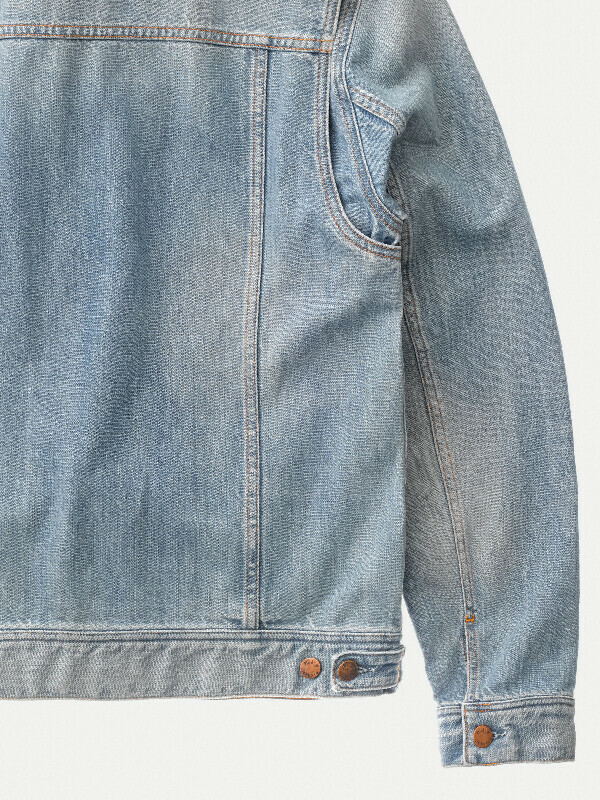 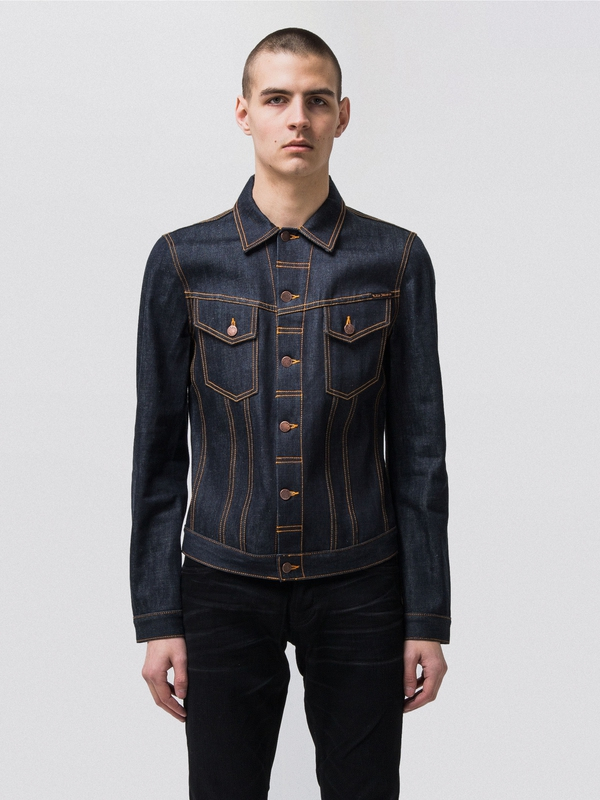 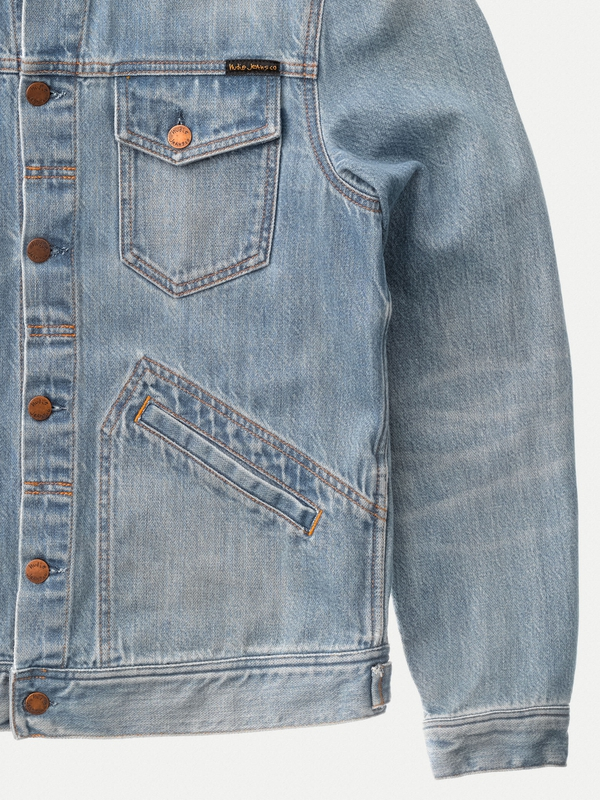 The contrasting seams, washed out denim and indigo buttonholes brings us back to when denim production first boomed. 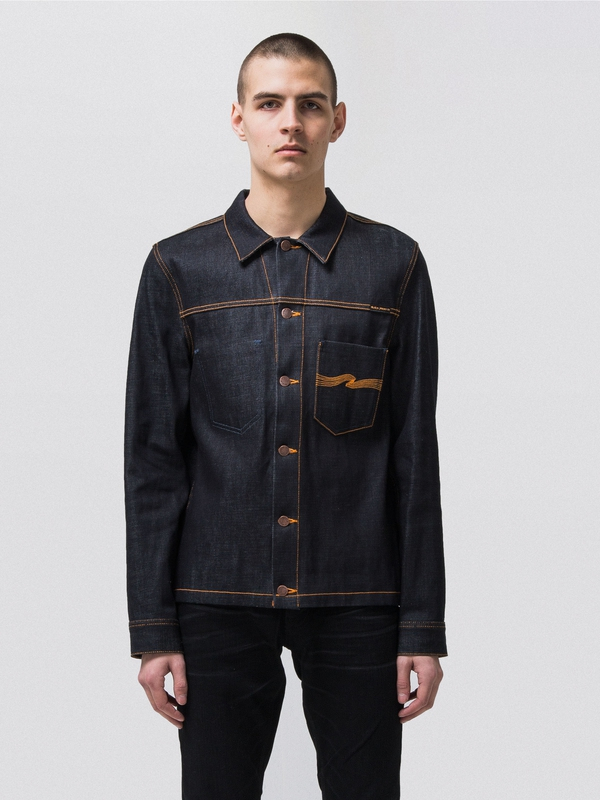 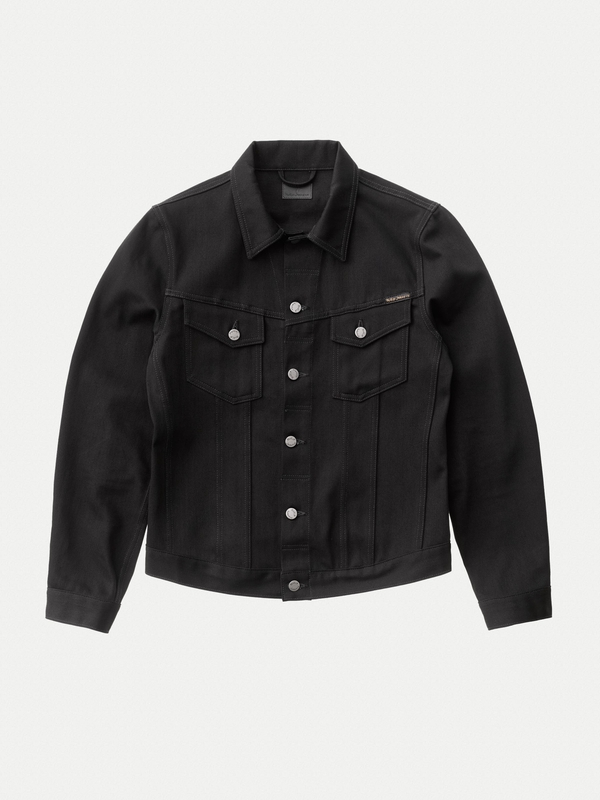 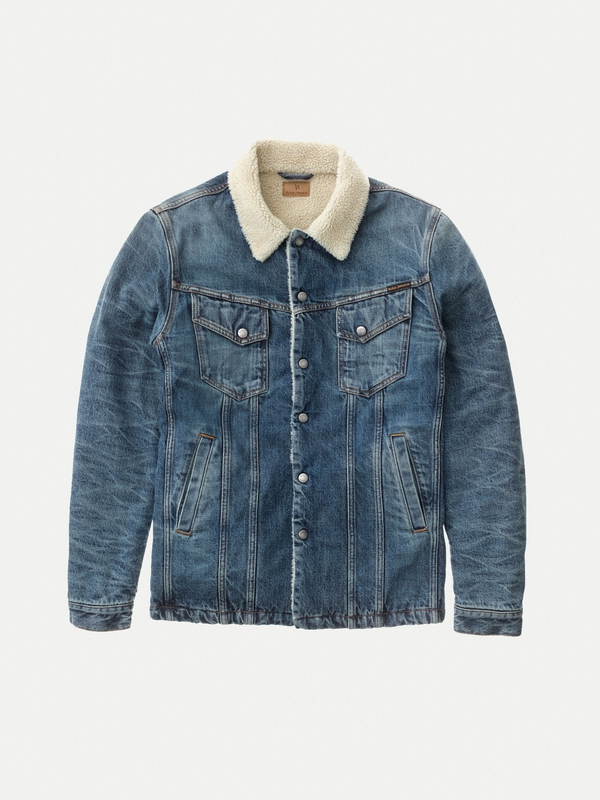 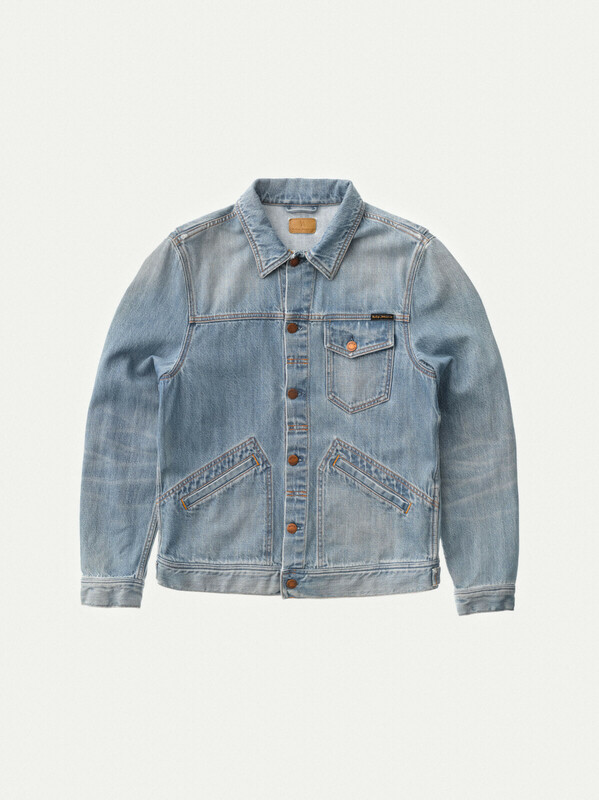 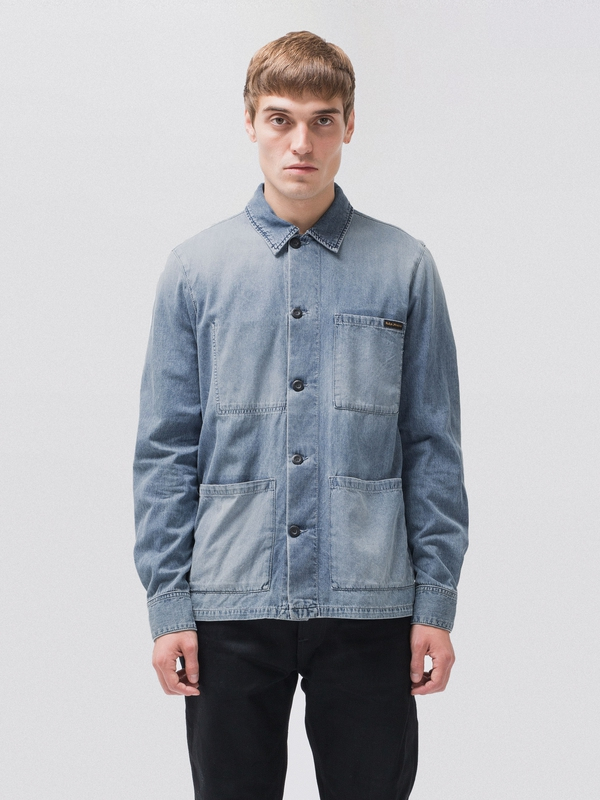 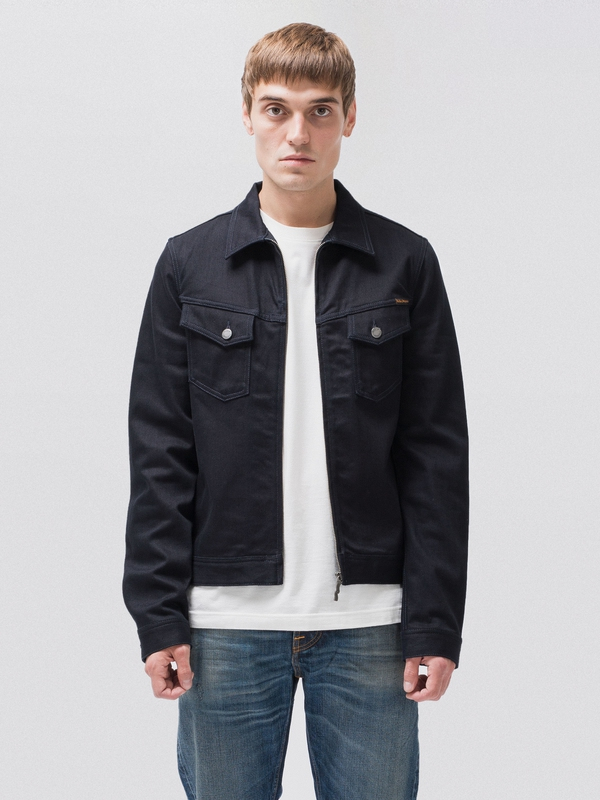 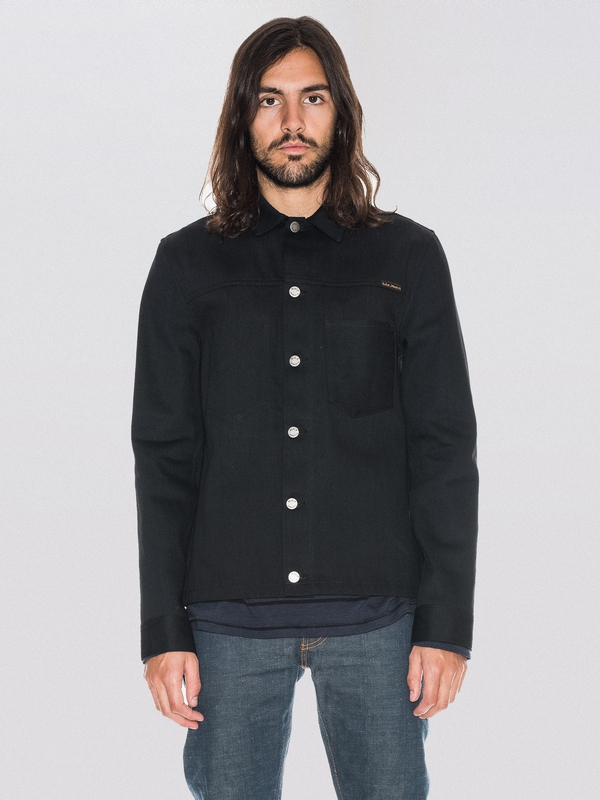 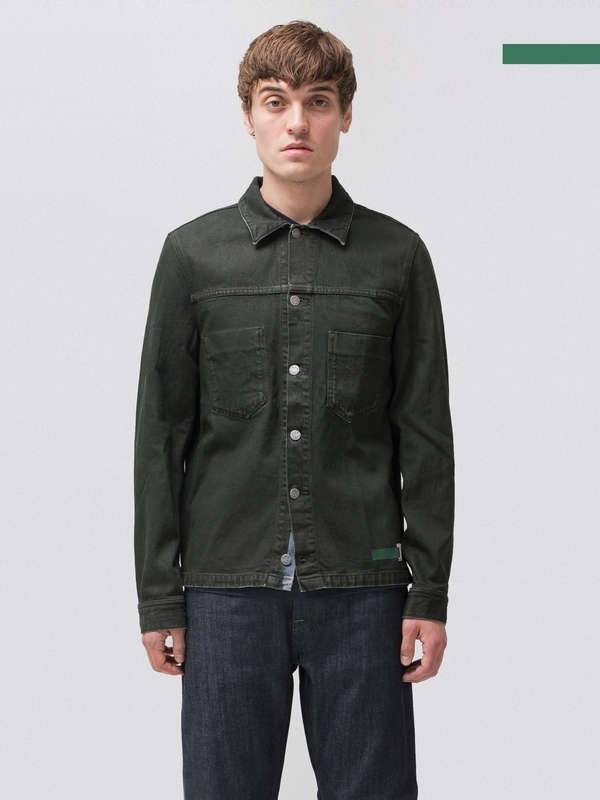 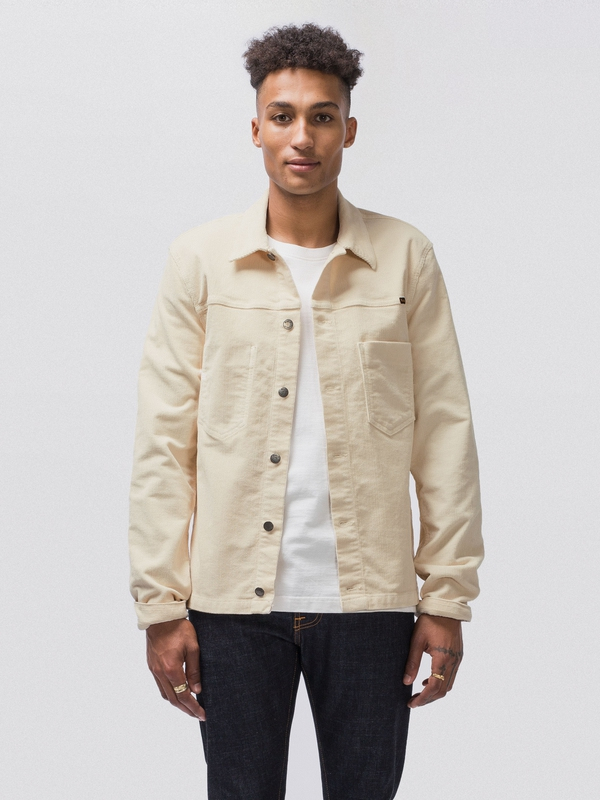 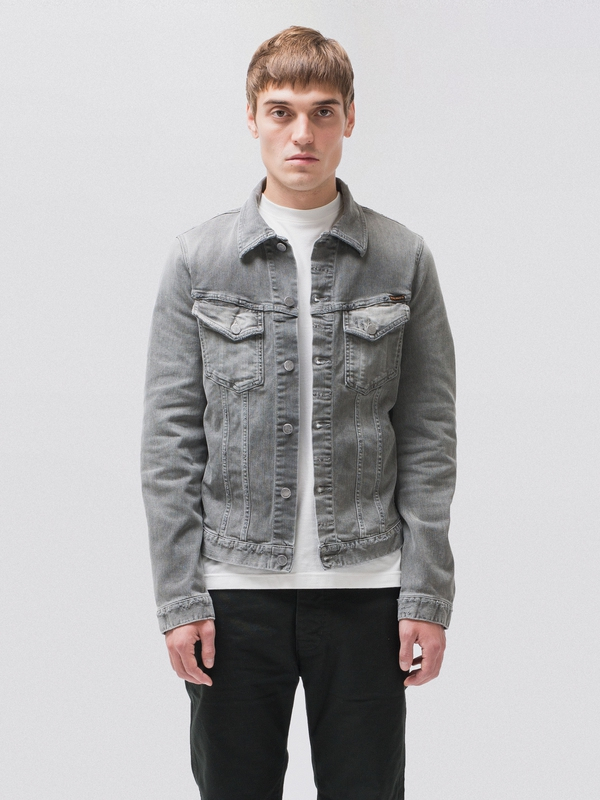 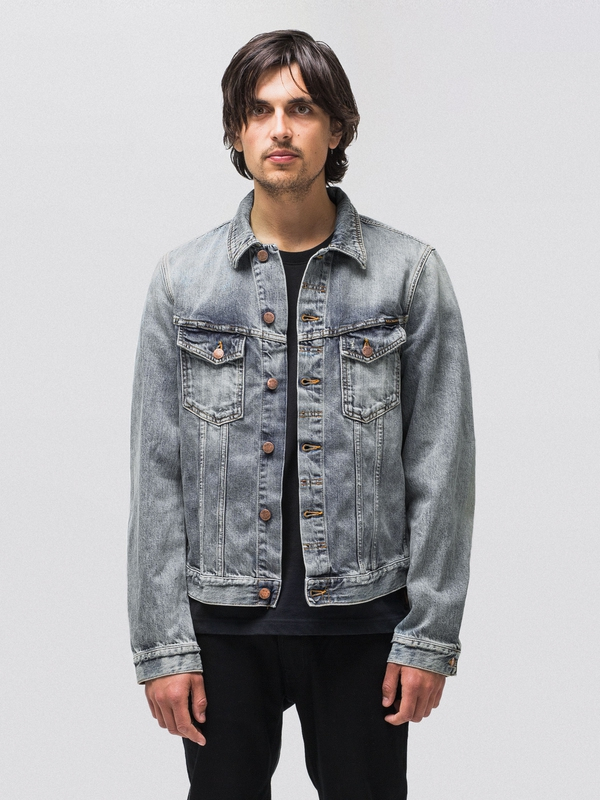 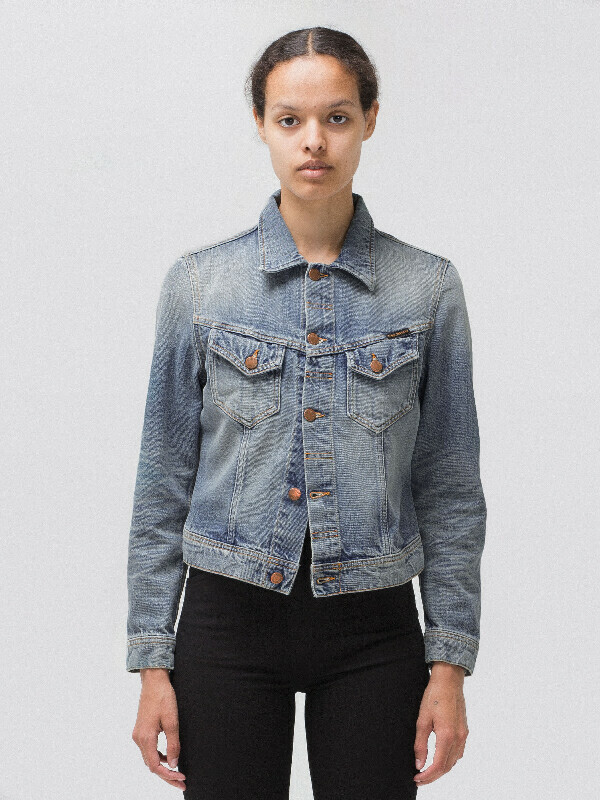 Back then denim was workwear, practical and beautiful, which is what the two slanted welt front pocket and the bellowed armholes pay homage to.